Amb is a town situated in the district of Una in Himachal Pradesh state of India. It is situated in the Punjab Punjab region of Indian Subcontinent. It is a sub-division and Tehsil of the Una district. The town was named Amb after the name of the goddess Amba, deity situated in nearby Chintpurni. Amb is located in the Soan valley surrounded by mountains of the Shivalik ranges. It has a population of around 5000 people. Some localities of Amb are Heera Nagar, Pratap Nagar, Adarsh Nagar, and Sham Nagar. Local language is Punjabi. While Hindi and English languages are used for official purpose. Amb has various education institutions including a government senior secondary school, Indian Public School, Shivalik Hill Pub Sr. Sec. School, Sudha Model School and Maharana Pratap College being one of them. Maharana Pratap Govt. College, Amb came into being on 18 June 1997 when the Himachal Pradesh Government took over the erstwhile National College, Amb, established in 1970. The College is situated in the center of the Amb town on the National Highway, 32 km from Una, the District headquarters, on the way to the famous shrine of the goddess Chintpurni. Amb has some ancient historical ruins of royal palaces and gardens. In the year 1877, at the request of Maharaja Ranbir Singh of Jammu and Kashmir, the British government restored to Raja Ran Singh the Jagir in Jaswan, originally held by Raja Ummed Singh consisting of 21 villages in Jaswan Dun valley and the family garden at Amb, as well as palace buildings of Raja Ummed Singh at Rajpura. Raja Ran Singh died in 1892 and was succeeded by his son Raja Raghunath Singh who died in 1918. Thereafter, Raja Laxman Singh succeeded him and was in turn succeeded by his son Raja Chain Singh. After his death in 2009, Raja Vijaindra Singhji succeeded him and is now residing at Amb along with His Son Rajkumar Raghavendra Singh Jaswal and wife Kunwrani Aditi Gudda D/O LT. Raja Kishan Singhji of Gudha Chanderji in Rajasthan. Amb has a small bus stand. Buses are available for all major towns of Himachal and North India including Delhi, Chandigarh, Shimla, and Dharmshala. The Amb railway station (Station Code-AADR) is situated 1.8 km from the bus stand. The station lies on the under-construction track from Una to Talwara. Amb Town is also an industrial zone of Himachal Pradesh. Many units including Sonalika (car manufacturer) and Him cylinders are located in this town. Jindal group also established here its new textile plants i.e. Jindal Medicot, JSTL and HTPL. Another textile fabric unit named Paragon knits limited started in 2014, manufacturing fabric for brands like Reebok Adidas etc.Paragon have zero discharge ETP plant. 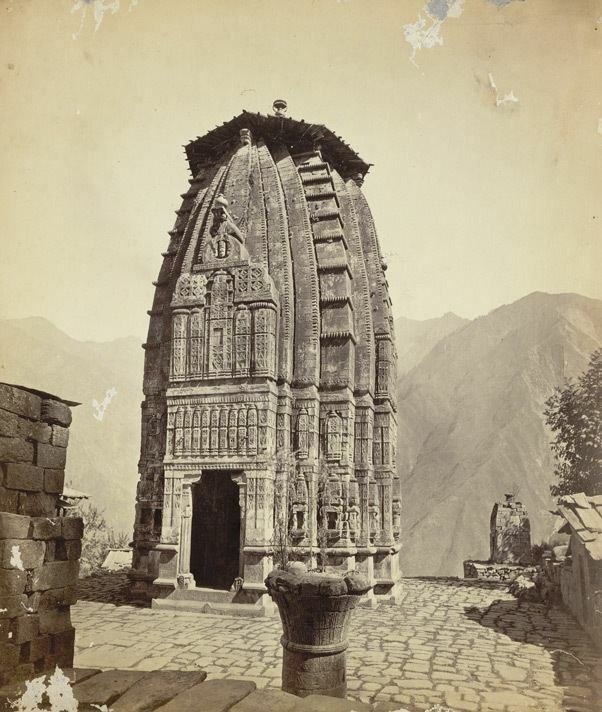 Chintpurni Temple, Una district, Thaneek Pura, Nehri, Daulatpur, Mairi, Lohara, Gagret, Hoshiarpur, Pragpur, Jawalamukhi, Pong Dam.